As you are most likely aware, February 14th was a dark day for the state of Florida. 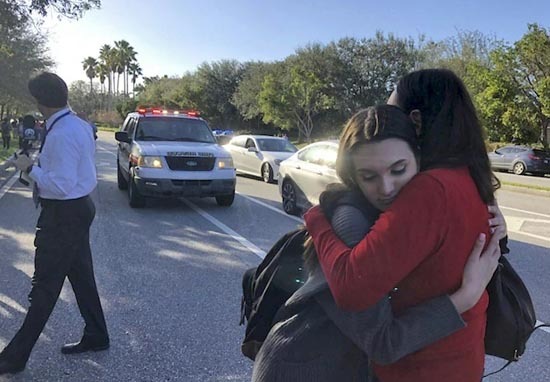 A gunman in possession of an assault rifle—an AR-15, to be specific—killed 17 at a high school. In addition, many others were injured during the school shooting. 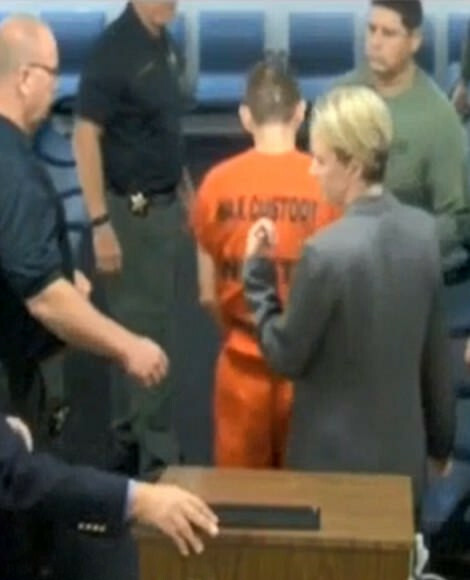 The suspect, Nikolas Cruz, is in custody. He is 19 years of age. He had been expelled from the high school where the shooting took place. 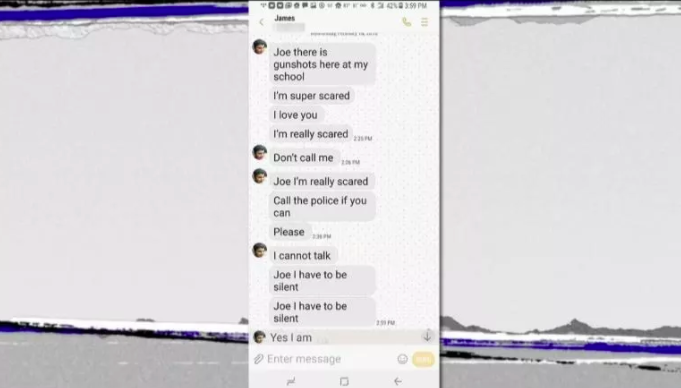 As we learn more about the shooting, truly distressing and tear-jerking text messages sent by the students at the high school are being made public. For example, one student texted her parents. She was worried that she would not survive the ordeal and told her parents that she “appreciated everything” that they had done for her. Fortunately, that student has been reunited with the parents to whom she sent the text message. Another student, who was only 14 years old, responded to the fact his mother wanted to go to the school and get him. In the text, he said that the situation was not over and the school was on lockdown. He was worried that his parent might get hurt. The young man was advised to stay hidden or play dead. A student named James Harrison texted his stepfather, saying that he was “really scared” and couldn’t phone him because he had to stay silent. Harrison reported that he couldn’t believe what was happening—and was scared and anxious. He did not know what was going on at the time. Harrison noticed that his classmates were texting members of their family, so he also did so. 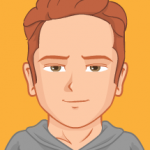 He managed to contact his mother and brothers—in addition to his stepfather. He wanted them to call the police in order to ascertain what was actually going on. 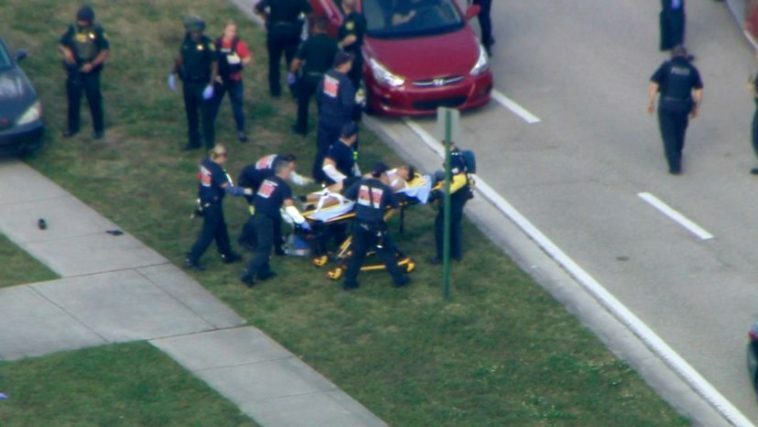 As we have reported, Nikolas Cruz had been expelled from the high school. When he went on what could be described as a killing spree, he allegedly had “countless” magazines for his deadly semiautomatic rifle. This is according to Scott Israel, the Broward County Sheriff. Fortunately, the alleged gunman was arrested by police and SWAT teams roughly two hours after the killings took place. The shooting is the 18th this year in a United States school, and it is actually the third deadliest school shooting in the history of the United States. Back on the 23rd of January, two people were shot and another 15 were wounded during a shooting at Marshall County High School, which is located in the state of Kansas. 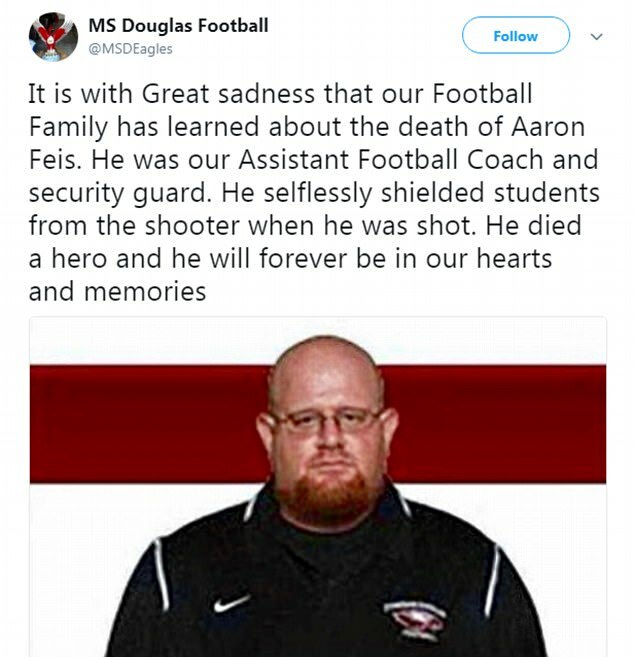 One of the people who died during the shooting was Aaron Feis, an assistant football coach. 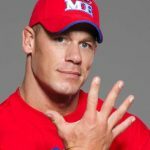 He was also an alumnus of the school and a security guard for eight years. 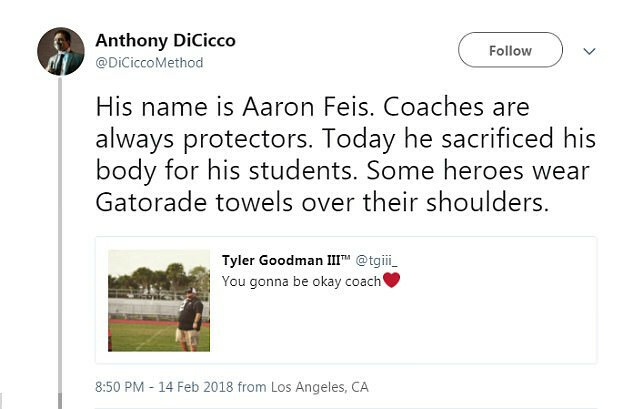 Many are calling him a hero. He guarded students from the person shooting at them and was therefore shot himself. 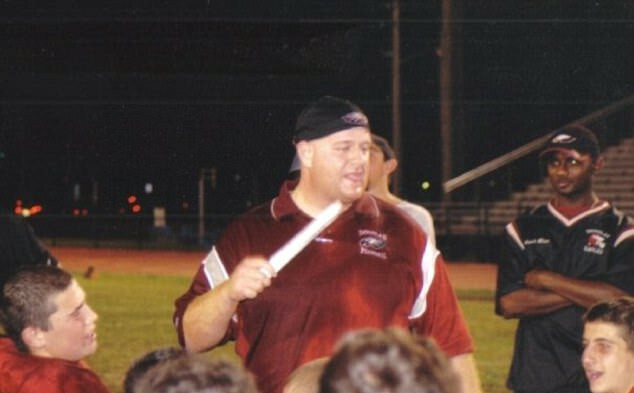 The football team tweeted that is was with “great sadness” that they learned of his death. As the tweet said, he will forever be in their hearts and in their memories. It has been reported that Feis took several bullets while protecting the students. One person tweeted that instead of talking about the shooter—described as a coward—we should be talking about Feis. As the tweet said, he “stepped in front of many bullets”. A teenaged girl as well as the school’s athletic director have also been named as victims. According to local media, a student named Jamie Guttenburg sadly perished. Her younger brother, who also attended the school, survived the attack. Her family describes her as a sweet and “kind-hearted” girl. Her father has stated that his “heart is broken” and referred to her as his “baby girl”. Chris Nixon, the athletic director, was 49 years of age and apparently very well-liked by students and colleagues. A geography teacher named Scott Beigel was also killed. He was 35 years old. Other victims include Meadow Pollack, who was 18, and Alaina Petty, who was 14. The alleged gunman has been charged with 17 counts of premeditated murder. Last year, Nikolas allegedly wrote on YouTube that he was going to be a “professional school shooter”. 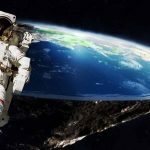 The comment was apparently reported to authorities by a vlogger, but any investigation that took place clearly did not stop the tragedy in Florida. It is worth noting that the alleged shooter somehow managed to purchase his AR-15 legally, despite the fact he was well known to have mental problems.